Hand painted on brass or copper. 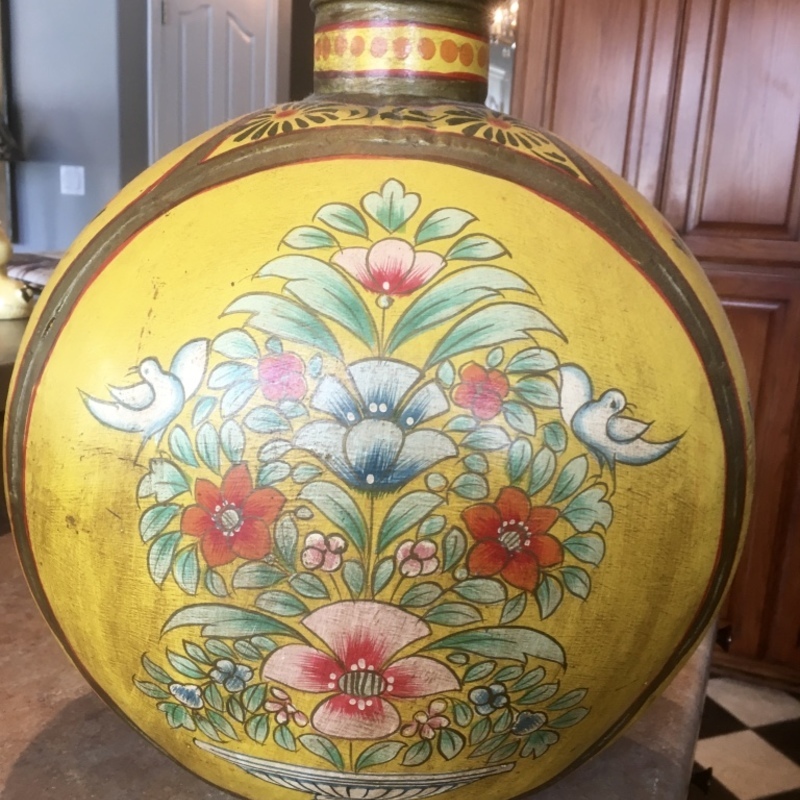 No Signature or makers mark Removable lid. 17"H x 14W"
Thank you for your request. The presented object is a vessel with a flower bouquet with birds decor on a yellow ground. The vessel itself is probably made out of metal and lacquered. It has measurements of 17 x 14 inches. The surface is artificially aged with a brownish color. This piece was made in the late 20th or 21th century for decorative purposes.